Un software integrado de recuperación de exploración profunda profesional para recuperar datos. ¿Necesita el software de recuperación de datos para su disco duro, memoria USB, tarjeta de memoria? Pruebe iCare Data Recovery Pro, el software profesional integrado de recuperación de exploración profunda es capaz de recuperar datos después de eliminarlos, formatearlos, formatearlos, atacar con virus, no reconocerlos y otros casos versátiles cuando sus datos en su disco se vuelven inaccesibles debido a errores humanos o Otros errores desconocidos. Las pérdidas de datos lógicos siempre se pueden rescatar cuando la unidad en la que guardó sus datos no presenta daños físicos. 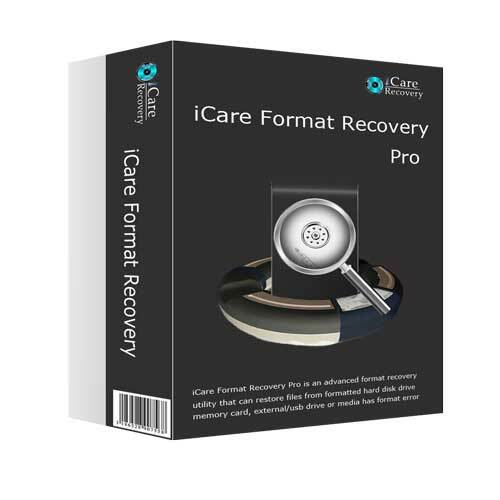 iCare Data Recovery Pro está equipado con un rendimiento excepcional en la recuperación de archivos sin procesar que recupera todos los archivos posibles, incluso los archivos bastante antiguos cuando no se sobrescribieron. Unformat utility to bring data back after format, quick format, and full format. SD recovery software for recovering files from sd memory card of various logical damages. 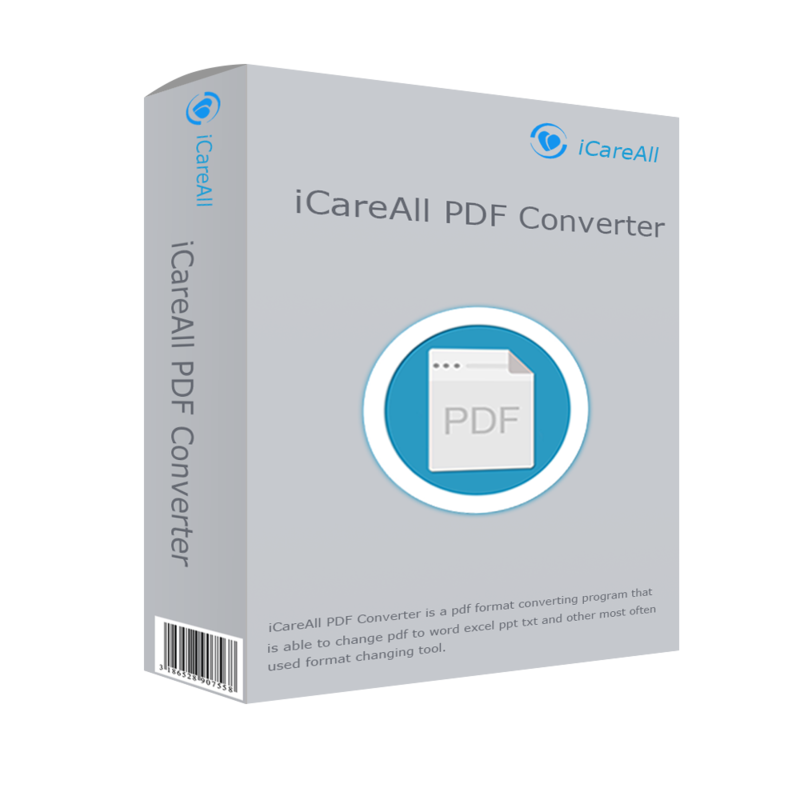 iCareAll PDF Converter is an easy-to-use PDF converting program that can help you convert PDF to Word, PPT, Excel and text documents, HTML, images and the like files, and also change these files with different formats back to PDF with ease and high efficiency. Hence, if you or your friends around really need such software, it could be a must try. Anyone can tell me if this is a no-upgrade license OR a time-limited license (e.g. expire after 6 mths or 1 year). Don't see it written as a time-limited license as usually the case for other data recovery software given as GOTD here so just want to confirm. Don't want to waste my time if it is. Hi Anyone can tell me if this is a no-upgrade license OR a time-limited license (e.g. expire after 6 mths or 1 year). Don't see it written as a time-limited license as usually the case for other data recovery software given as GOTD here so just want to confirm. Don't want to waste my time if it is. Thanks. muhozah, sad thing when just getting a lifetime no updates license for a giveaway is a reason to give a giveaway a thumbs up... that is supposed to be what the vast majority of giveaways should be, not a voteworthy exception! I'll keep my thumbs up reserved for useful programs with non-subscription based license models unless the program requires ongoing support like anti-virus patterns or rent of cloud storage/processing only then do I find subscription based models acceptable. Ekin, the license for this program is lifetime. temp10min, the activation is stored in a registry key. Save this key for a rainy day. 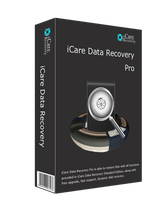 Anyone know what is new in this version compared to previious giveaway of version 7.9.0 https://www.giveawayoftheday.com/icare-data-recovery-pro/ ? TK, So far it seems only visible differences is are that this versions license is not accepted in 7.9.0 so that install switches to trial if this version is installed side by side instead of overwrite and this version adds the facility to save scan results for deep scan and lost partion scans and reload the saved scan results at a later date. There is still no option to save the drive to an image file on another drive and then enable scanning of the image file instead of the potentially failing or drive to be forensically searched with the lowest risk of wrecking the drive during recovery attempts. TK, So far it seems only visible differences is are that this versions license is not accepted in 7.9.0 so that install switches to trial if this version is installed side by side instead of overwrite and this version adds the facility to save scan results for deep scan and lost partion scans and reload the saved scan results at a later date. There is still no option to save the drive to an image file on another drive and then enable scanning of the image file instead of the potentially failing or drive to be forensically searched with the lowest risk of wrecking the drive during recovery attempts.